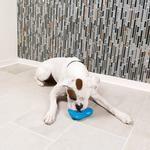 Give your pup a cool treat with the stackable Busy Buddy® Freezable Treat Holding Penguin Dog Toy! 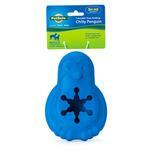 Give your dog a cool treat anytime with the PetSafe® Busy Buddy Freezable Treat Holding Chilly Penguin toy. 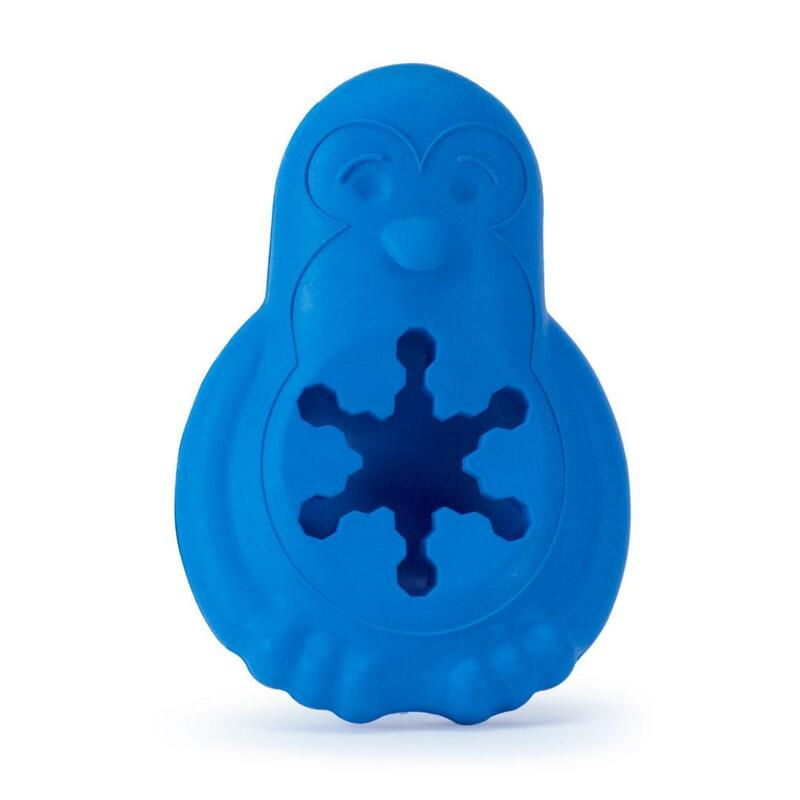 Fill the center of the Chilly Penguin with freezable treats like flavored water, chicken broth, yogurt or wet dog food. Place the Chilly Penguin in your freezer overnight and your pooch will have a delicious frozen delight to enjoy the next day. If your dog needs to reach the yummy treat faster, try trimming the snowflake points. Once the points are cut, there is no going back so we recommend trimming only a little at a time and then testing. The rounded base gives the Chilly Penguin a fun and challenging wobble. Stack multiple Chilly Penguins on top of one another to save on freezer space. Once your dog is satisfied, the Chilly Penguin toy can be easily cleaned by putting it in the top rack of your dishwasher. Interesting products to shop for. The idea of getting sunglasses for our pet caused us to search the internet. Your products caught our attention. Our dog will be happy..